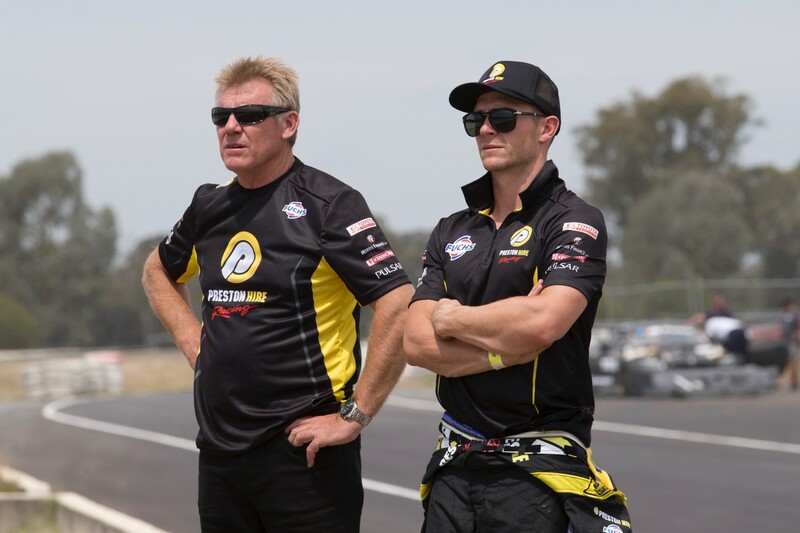 Given the nature of the Clipsal 500 race, Lee Holdsworth believes leaving the first round in the top 10 of the V8 Supercars Championship is a realistic goal for his Preston Hire Racing team. Holdsworth knows the concrete-lined, cooking-hot Clipsal 500 rewards those who keep it clean. And while the team has virtually started from scratch this year, with licence holder Charlie Schwerkolt breaking away to create his own squad for 2016, it does have a Triple Eight car to work with and the right mindset heading into the season opener. “I don’t want to go in with really high expectations, I want to go in with realistic expectations,” Holdsworth told v8supercars.com.au. “A realistic expectation is to come out of the weekend top 10 in the championship – and you can do that if you have speed or don’t have speed. “As long as you stay out of trouble, keep your nose clean, make gains throughout the weekend – as long as we keep moving forward, that’s my aim." Holdsworth had two top 10 finishes on Saturday at the race meeting last year – new to his Walkinshaw Racing Commodore – but on Sunday met the concrete at turn eight and left the weekend 21st. Clearly, a result he doesn't want to repeat. “To start the weekend it would be nice to be well inside the top half of the field,” he said. 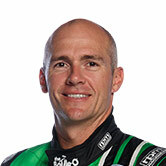 Team boss Schwerkolt also has top 10 expectations and is very excited about debuting his Preston Hire race team. The group – which includes familiar faces with former HRT heavyweight Jeff Grech; engineer Jason Bush, who spent nine seasons with Walkinshaw Racing; and mechanic Janelle Navarro – worked together on track for the first time at the pre-season test day at Winton Motor Raceway last week. 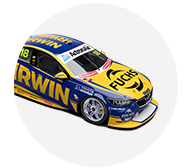 Holdsworth was positive about the car and the teamwork, his best time landing him ninth in the queue of 16 V8 Supercars Championship cars that tested. He did not believe those final times gave any indication of how things would roll out come the Clipsal 500, though. “Come Clipsal it’s more about getting back into the swing of things, experiencing the heat in the car you can’t train for, that’s priceless so [the test was] just a day of familiarising yourself with things,” Holdsworth said. “I could feel the potential in the car and I can feel the strengths, so that’s what we wanted to identify. While there is positivity within the group, Holdsworth knows teething problems are inevitable, especially with such a new team. “We’ve got to be prepared for those mistakes and learn from them,” he said. “Every time we’re back at the track – if we ensure we learn from those mistakes we will keep getting better and better. Triple Eight assisted the team at the test day by sending Shane van Gisbergen’s 2016 engineer Grant McPherson, and Schwerkolt is prepared to lean on the support from the top team where needed. “We’ve got to be consistent throughout the whole year, and if we go bad Triple Eight is going to help us out and support us,” Schwerkolt said. Both Schwerkolt and Holdsworth believe a small team can beat the powerhouse groups of V8 Supercars – Holdsworth has been on both sides of the fence in his career before, starting with Garry Rogers Motorsport, heading to three car group Stone Brothers before its Erebus changeover, and then running as the fourth car in the Walkinshaw stable. “Tekno is the best example with what they’ve done for the past couple of years,” Holdsworth said. “Shane and the rest of that team did an incredible job to be able to win races and beat the likes of Triple Eight, HRT and Prodrive. “We’re hoping that potential is here – we know it is.